If you’ve never made a smoked beef chuck roast before, you should give it a try. This cut of beef has really good flavor and melt-in-your-mouth tenderness when cooked in the smoker, whether served shredded or sliced. These roasts respond well to the low and slow smoking technique. Chuck is taken from the shoulder and neck area of the beef, so usually contains a lot of fat and connective tissue. These will soften and melt during smoking, adding flavor and moistness to the meat. There are several different cuts of chuck roast, including the seven bone roast, the arm roast, the blade roast, and the top blade roast. Whichever you choose, look for a roast that has some fat marbled throughout the meat. That fat adds flavor and juiciness that you won't get with leaner cuts. I prefer the seven bone or blade roasts. To start, trim the roast if needed. If the fat layer is extremely thick around the edge it can be thinned down to about one-quarter inch. 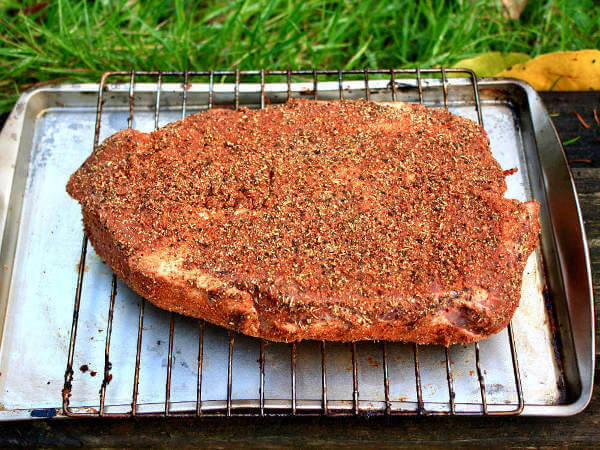 Season the beef chuck with dry rub and let it rest at least two hours, and preferably overnight, before you begin to cook it. 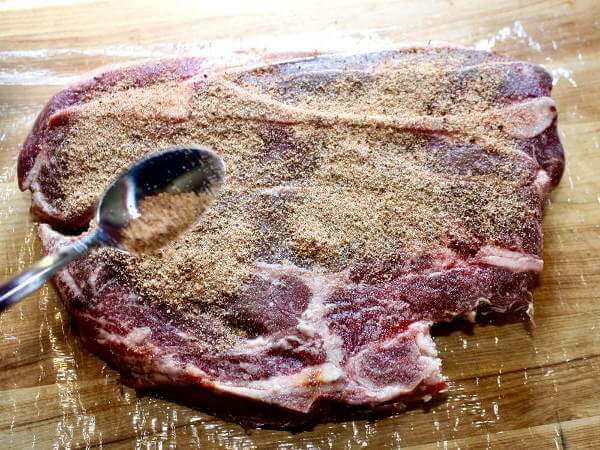 More time allows the rub flavors to sink into the meat. 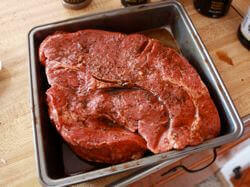 The following is a favorite recipe of mine for seasoning chuck roasts. 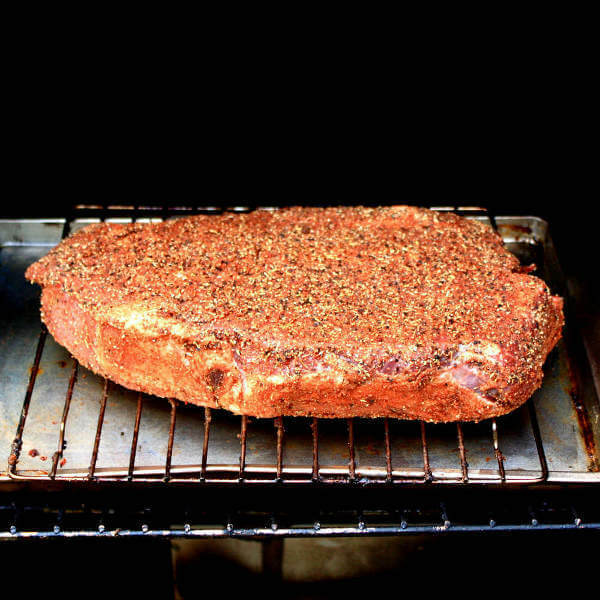 Smoke the beef, using hickory or oak, at 225-250 degrees Fahrenheit for about five hours, or until the internal temperature hits 150 degrees. Wrap the meat in a double layer of heavy duty foil and put it back in the smoker (or in a 250 degree oven). Continue cooking until the internal temperature reaches 200 degrees. Check for tenderness, cooking longer if needed. Some roasts may require a higher final temperature to become tender. When finished, allow the foil-wrapped roast to rest for at least one hour... longer if you can stand it! Some of the cooking juices in the foil with the roast will absorb back into the meat during this time. Shred the smoked beef chuck and add some of your favorite sauce. Piled on hamburger buns and served with dill pickle slices and hot sauce, this smoky roast makes a great tasting meal!